Download Qasas-ul-Anbiya in PDF format or read online and explore about the lives of holy Prophets in Urdu language. The author of this Urdu book is unknown however this book is written the light of Islam. Qasas-ul-anbiya book is totally about the stories of holy messengers who were sent by Allah in order to guide their nation to the real path of Islam. Download Qasas-ul-Anbiya in PDF format or read online and explore about the lives of holy Prophets in Urdu language. The author of this Urdu book is unknown however this book is written the light of Islam. Qasas-ul-anbiya book is totally about the stories of holy messengers who were sent by Allah in order to guide their nation to the real path of Islam. According to Islam, the total number of the prophets and messengers is about 124000. There are a lot of stories of the different Holy Prophets in this Urdu book Qasas-ul-anbiya. 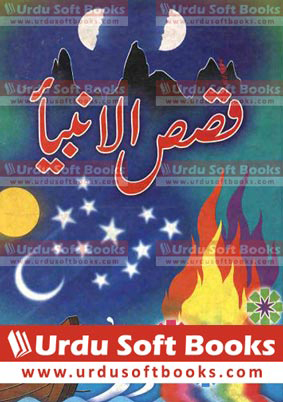 This Urdu book is here in Pdf format and as long as 460 pages. You can read online or download Qasas ul Anbiya in PDF Format using below links. Your feedback and comments will help us to improve our Urdu Books and novels collection.